M-Hub, Coming on Strong in April! As a proponent of connectivism I have made Challenge Based Learning and other real world projects an essential part of each course. I have seen my students attain deep learning through social engagement and work on real work challenges. In each case, I’ve demanded that groups students explore their personal learning networks to connect with experts who can answer their questions or review their ideas. To help teach students how to make connections, I started the M-Hub project three years ago. 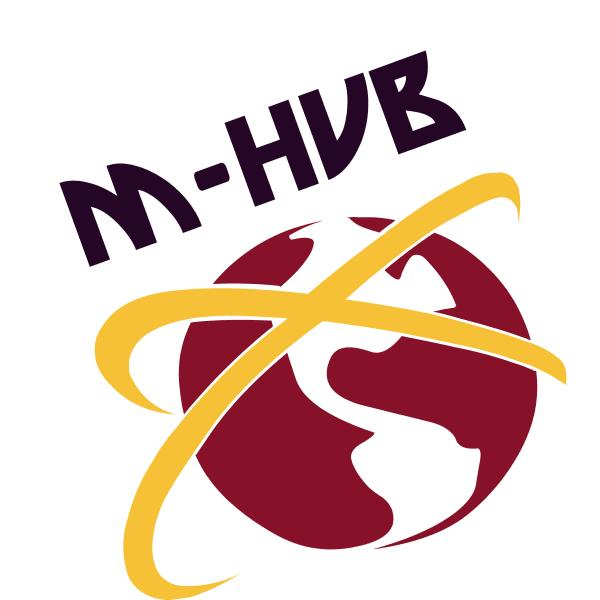 M-Hub came online a year ago as a way for students to connect with mentors (such as alumnae) who possess specialized knowledge, training or experience. Activating this database site and introducing it to staff was a monumental success. However, it has largely languished. The nucleus of project leaders graduated, and the idea of researching real people instead of documents, did not come naturally in our learning community. And I confess that all the founders lost their zeal after reaching such a major milestone. I am glad to say that I am now working with a dedicated (and very young!) group of students who have two April projects in mind to renew interest in M-Hub. First, our team will be facilitating tweeting at the Women Mean Business Symposium, April 23, 2013. We will also be launching a movie that is currently in production. We are hoping to disseminate this fifty second “commercial” about what M-Hub is and how it will help our students “create, connect, contact, and collaborate.” More soon!